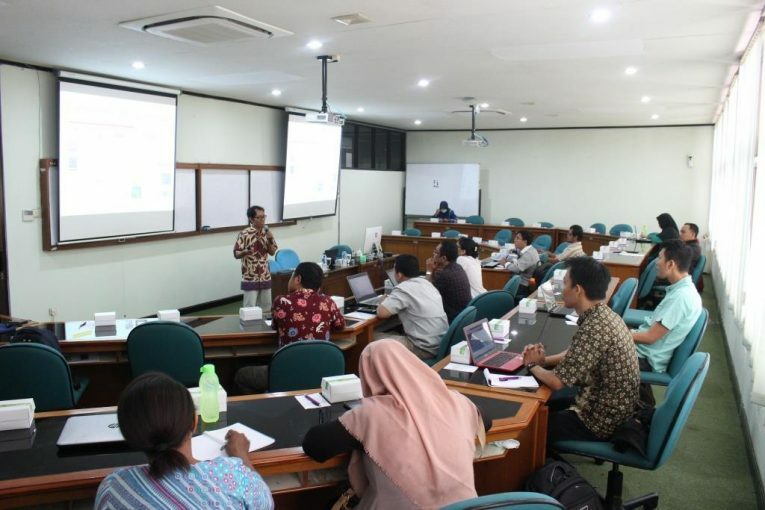 In September, 14th 2018, MD Program of FEB UGM in cooperation with the Central Library of UGM conducted workshop related online data-based management and referencing. The workshop was conducted in two sessions. The first session is presented by Mr. Janu, the topic was related to the online data-based of UGM. The next session is presented by Mr. Ide Yulianto, who presented a reference management tools using Zotero. In the first session, Mr. Janu explain the general information regarding various sources that students can access for many references such as book, journals, articles, research papers, and even course video. Some of the sources were through an online catalogue, search engine, and federated search engine, which was the one that discussed in the first session. Federated search engine is an exclusive search engine that owned by the institution, where the students of UGM can access the search engine by tapping in http://ugm.summon.serialssolutions.com. Through the website, students of UGM can search and find all the collections of the central library of the UGM. Mr. Janu also explain about some strategies to effectively doing the search activity. For example, using the precise keywords and understanding the various terms of keyword according to the topic that we looking for, it can be significantly optimize out effort on doing searching activities.